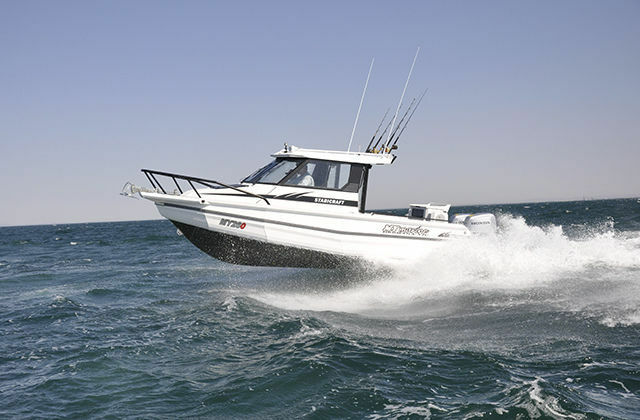 outboard walkaround / with enclosed cockpit / sport-fishing / 9-person max. The best aluminium chambered boat is now even better. 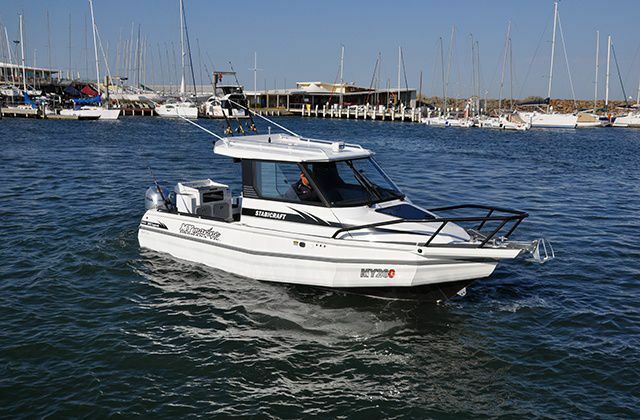 The Stabicraft 2600 Supercab, featuring the innovative Game Chaser Transom and Arrow Pontoons, is a true big boat commanding big boat blue-water opportunities. The hull improvements have made manoeuvring easier, backing down on prize fish faster and softening the ride with and against the sea. 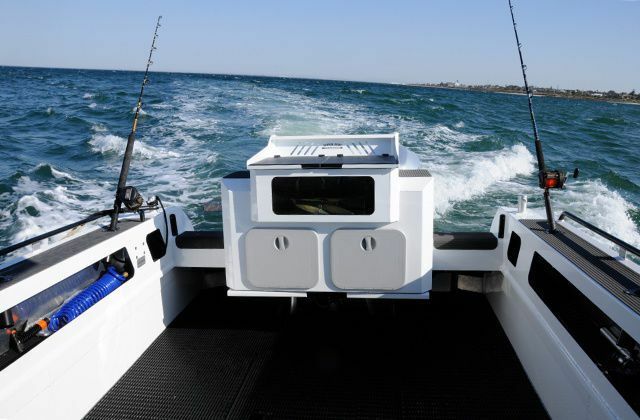 The changes haven’t stopped there though, an all- new 420L fuel tank is standard giving you even more blue-water range and the fish hold has been enlarged to 425L with twin gas struts and waste pump as standard. As with all Stabicraft, safety and performance are paramount in the design. With excess buoyancy built into the chambers, high gunnels and solid construction, the 2600 inspires confidence, asking you to push further to finds its limits. 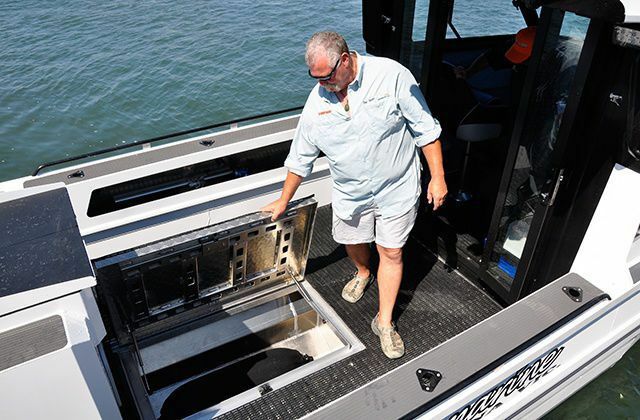 The full beam, reverse chine- like design of the Arrow Pontoons grip the water when underway and help the hull track straight and true no matter the conditions.